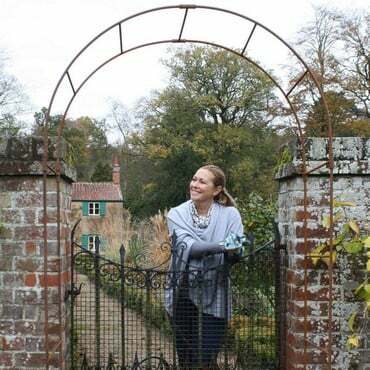 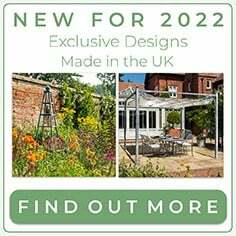 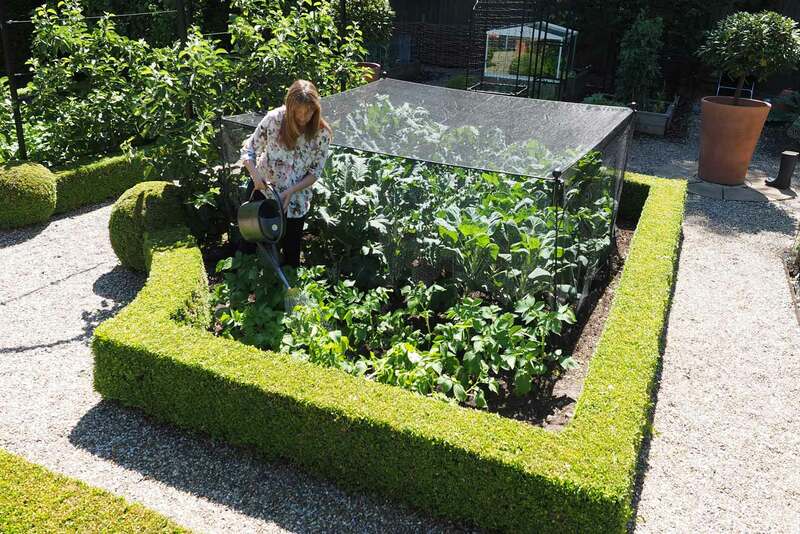 Exclusively designed and manufactured by us in the UK, our new Vintage Fruit & Vegetable Cages use an innovative framework which is robust yet flexible to withstand strong winds and snow. 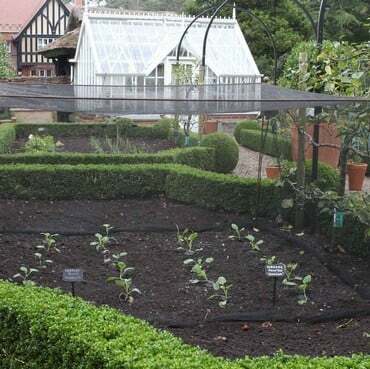 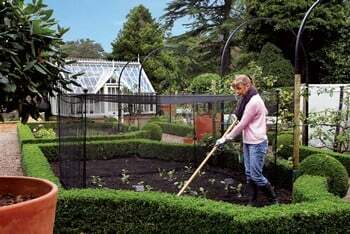 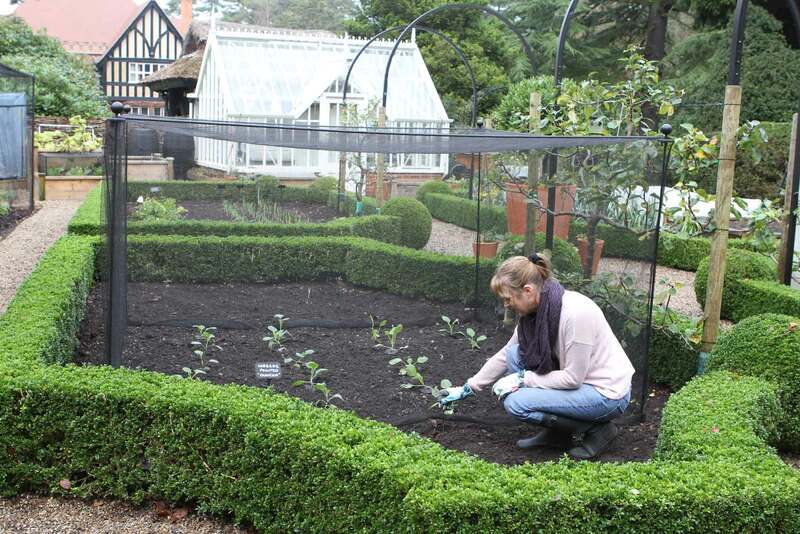 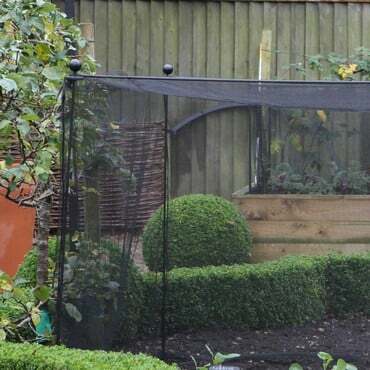 These strong cages offer great protection for your plants and standing 1.5m high and fitted with butterfly netting are ideal for protecting brassicas. 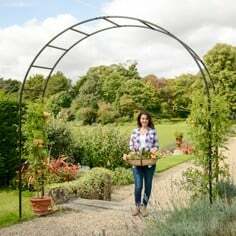 The strong 10mm gauge steel rods are powder coated matt black for a long lasting finish and are securely fixed in place with the strong steel nodes. 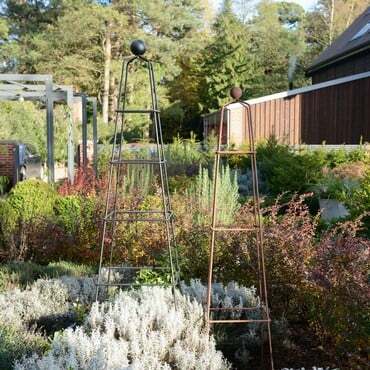 The uprights fit through the steel disk node and are secured in place with a fixing screw and then topped by a sphere finial which pushes onto the steel rod. 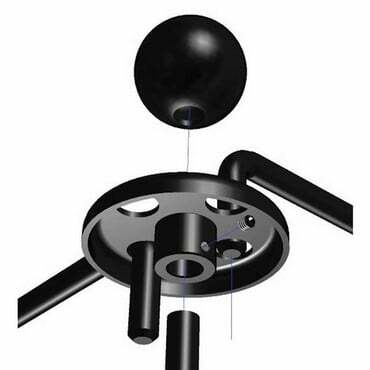 The steel rods for the framework have a hooked end which fits securely into the steel disc node. 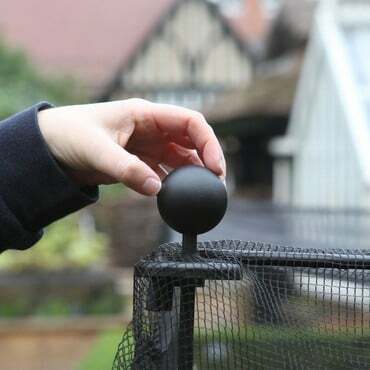 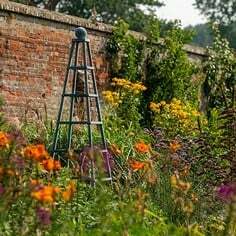 The cage kit includes the solid steel rod framework, harrod disk nodes, 50mm diameter sphere finials, fitted 7mm soft knitted butterfly net and steel gound pegs. 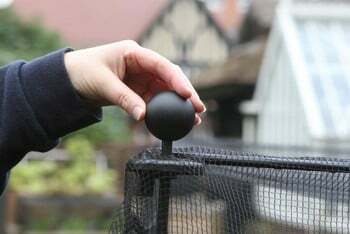 The fitted netting goes over the vegetable cage and is then fixed in place with the ball finial and secured with the supplied ground pegs. 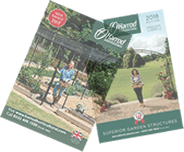 Available in a range of sizes, all kits stand 1.5m High above ground with 30cm of the uprights inserted into the ground for stability. 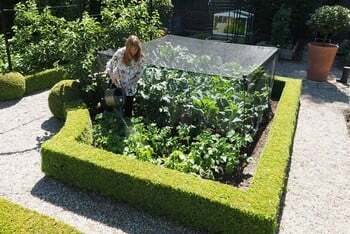 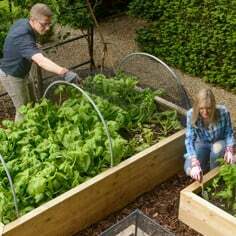 Help Your Crops - Protect fruit and vegetables from unwanted wildlife with Harrod Horticultural's Vintage Fruit and Vegetable Cage kits. 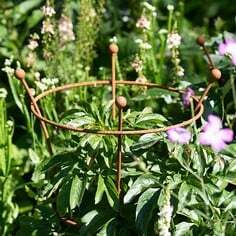 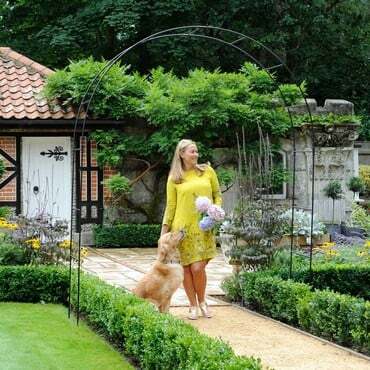 These come in a range of sizes and are made of steel rods, fitted with 7mm soft-knitted butterfly net and topped with sphere finials. 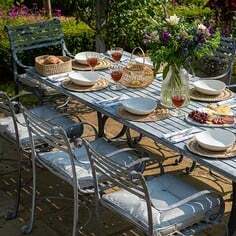 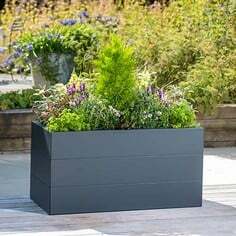 Available in matt black powder coated or natural rust finish.